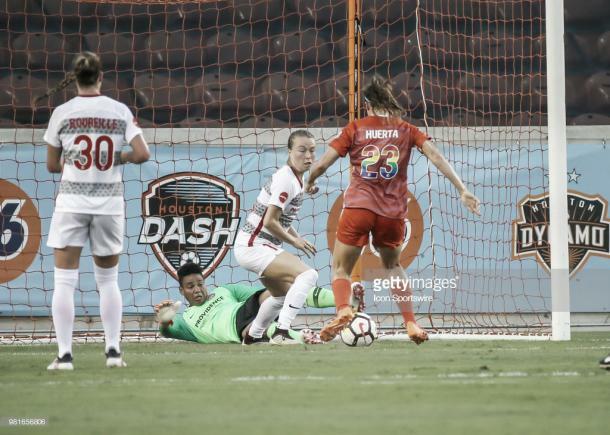 The Orlando Pride host the Houston Dash this Wednesday i the two teams' second meeting of the season, the first of which ended 1-0 in favor of Orlando. The Dash come into this one off the back of their first loss in about a month, while the Pride come into this match in good form winning three of their last four games. The Pride are also looking to gain ground on league leading North Carolina. With the Courage not playing during this set of midweek fixtures, and Orlando having a game in hand, this is an excellent opportunity for the Pride to cut North Carolina's points lead down to single digits. The Dash on the other hand look to keep pace in the playoff race with a win, as they slowly start to maybe fall away from the playoff contending pack. A win here for both sides is very important as both teams season goals start to come into focus. Orlando comes into this game in very good form, winners of three of their last four, and having lost only once in their last ten games. The team has slowly but surely chipped away at North Carolina's once thought to be insurmountable points lead. While the lead is still pretty significant at 11 points, a win on Wednesday gets it down to eight, and with the two teams at the top playing each other on Saturday, it could fall to just five points. This however is contingent on Orlando winning their next two games, which won't be easy, and starts with this game against Orlando. 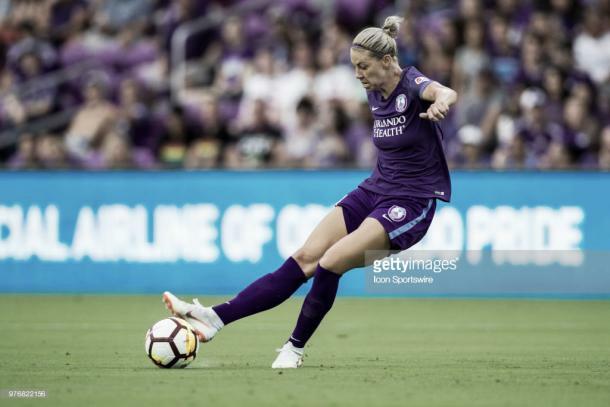 The Pride were able to come away with a victory last Saturday 0-1 against the Washington Spirit as in the 11', Alanna Kennedy was able to channel her 2015 Carli Lloyd and score from about the halfway line. This was a close game, a game that Orlando arguable should not have won, but they did. This is the mark of good team, being able to go away from home and not play at your very best but still come away with a victory. It's wins like these that show the mark of a true title contender, which Orlando is starting to make itself viewed as. The Dash are coming off of a home loss last Friday at the hands of the Portland Thorns 3-1. Sofia Huerta scored in her debut off of a scramble in the box, but that was really the only positive for Houston on the night. Portland out shot them, had 12% more possession, and completed 122 more passes than the Dash. This comes after Houston's best run of the season where they went 3-3-1 in their last seven, and made serious ground in the playoff race. This loss puts them a little bit behind the playoff chasing pack, and a loss Wednesday would push them even further back. This is why a win here, away at Orlando, is so crucial. This would be the team's signature win this season, and could also be used a starting point towards a real serious push for a playoff spot, which would be the first one in team history. In order for this team to make the playoffs, they'll rely heavily on their new acquisitions. Sofia Huerta and Taylor Comeau arrived via a trade with Chicago last week, and the team signed Clare Polkinghorne just days prior. Sofia Huerta will need to be a key contributor for this team whether it be on the front-line, or in defense, they'l need her to be at her best. This game is really close to call. It seems like Orlando really has the potential to dominate this game and pull closer to North Carolina, but at the same time, it could be a trap game for them, and Houston could pounce on that and steal a victory. While the Pride have won their previous two games in a row, neither have been very comfortable. They survived a 3-2 shootout against Sky Blue FC, and then just barely scrapped a win against Washington, but at the same time, they had a very impressive 2-5 win at the Chicago Red Stars and also had a 1-2 win at the Portland Thorns. It seems the Pride play up to the tougher competition, yet play down towards the teams they should beat a little bit more easily. They are though winning those games, which for me, makes it easier to predict an Orlando win than it is any other result. 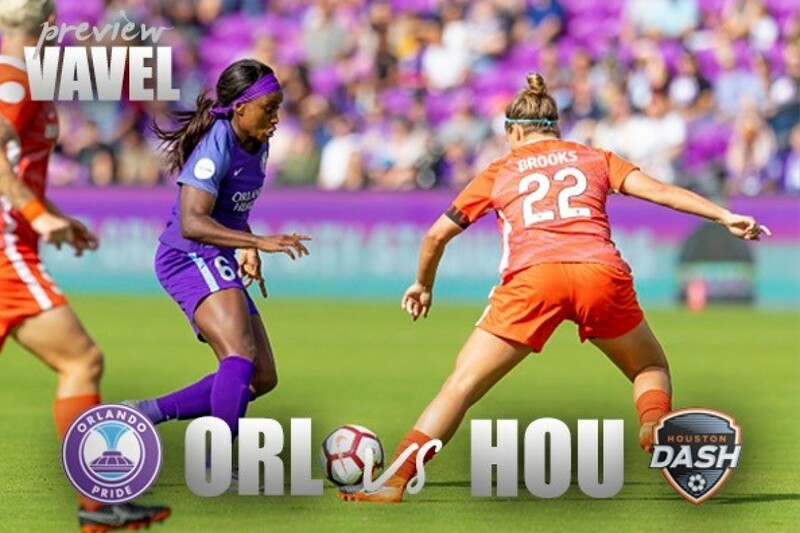 The Orlando Pride host the Houston Dash on Wednesday, June 27, at 7:30 PM EST. The match will be streamed on go90.com, and the go90 app.